The 38th Member of the Soccer Fitness 20 MPH Club, Damian successfully performed 4 separate, 4-second running bouts, with an impressive top speed of 21.5 miles per hour, on Friday, August 12, 2011. A strong left-footed player who can play in defense or midfield, Damian will be attending the University of Windsor this fall, and playing for their Men’s Varsity Soccer Team. Having worked with Damian for the past month, we are expecting him to have an immediate impact on the team this fall. 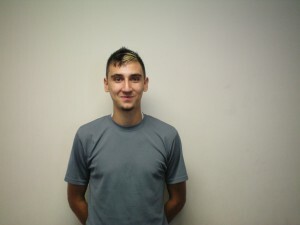 Congratulations Damian, and good luck in the 2011 season!